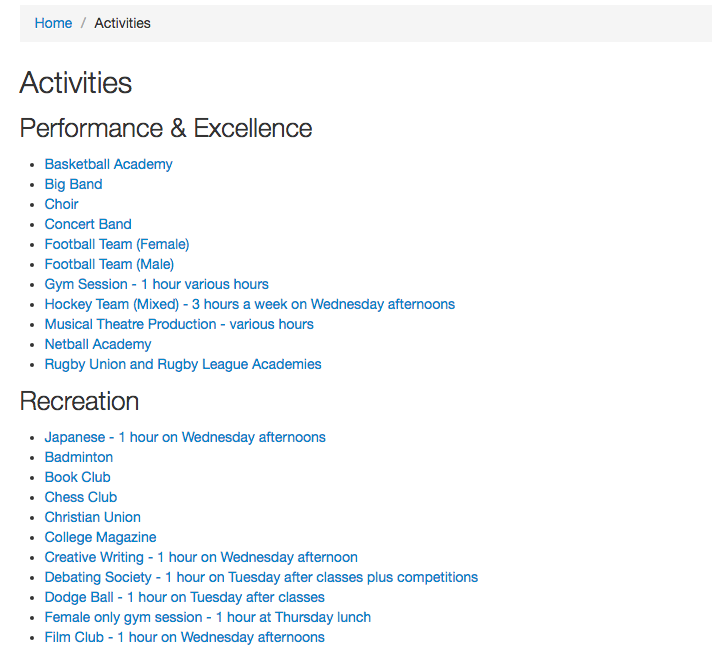 Activities can be used to list all the extra curricular activities going on at your school. Categories can be setup to group the activities. Activities can be found under the Education > Activities. On the Activities page, any previously added activities will be listed. To add a new Activity click the green "+ Create Activity’ button at the top of the page. Below is an explanation of the fields on the Activities page. The name of the activity as it will appear on the website. An image to be displayed on the activity page of content. A description that you can add about the activity. 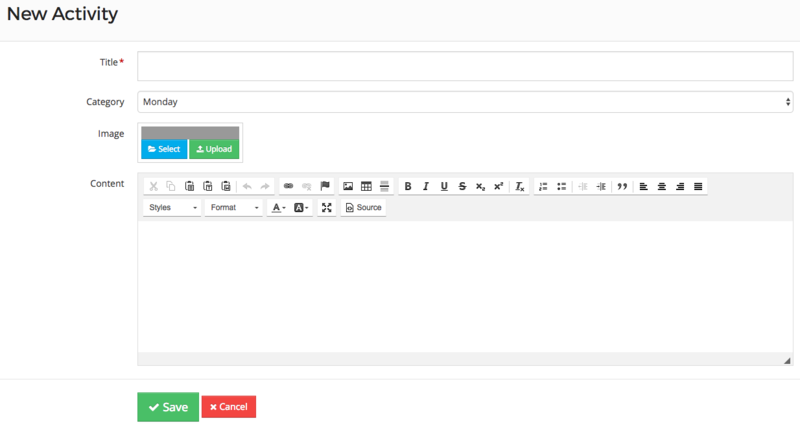 The same content box used across the Schudio CMS. The content entered into the Activities module will then appear within the page like this, with links automatically added to the activity page whenever a new activity is added to a category.